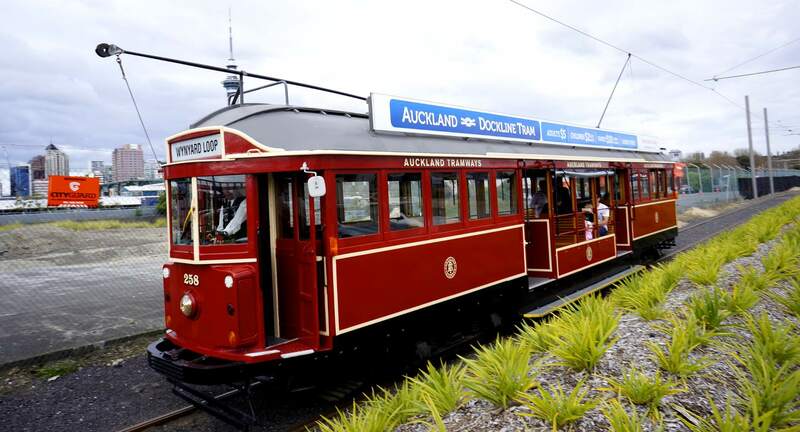 In 1902 Auckland got its first electric trams, and again closed down operation in 1956. With the Rugby World Cup last year, Wynyard quarter again brought the W2 Tram back into operation, albeit on a tourist 1.5km route one can also cover on foot. It was nice to see them put back on the road in Auckland, and I believe they have plans to lengthen the track – possibly making them of more use to locals as well as visitors in the future. Taken on the Sony Nex 5N with the pancake 16mm lens, I just did a little cropping and a slight contrast push in Gimp before posting.